Monthly Winemaker Dinners with local wineries and notable winemakers. Weekly Wednesday Night Flights for happy hour in the bar. See our website for information on these favorites and other upcoming events. Russell Lowell is the cherished caterer of Puget Sound’s most discerning clients. Extraordinary food, professionalism, and polished service make Russell Lowell Catering one of the most successful catering companies. Our dedicated team is committed to making sure every event has the highest level of cuisine, professional service, and proper event management. Our event coordinators will assist with as much planning and theme creation for your event as you need. Tucked away in a beautifully restored barn, Russell’s offers private event spaces to fit any occasion. With Chef Russell Lowell at its helm, you will sample exquisite cuisine while our expert staff coordinates every detail of a flawless event. Tucked away in a beautifully restored barn, Russell’s Dining Room offers a dining experience that is like no other. 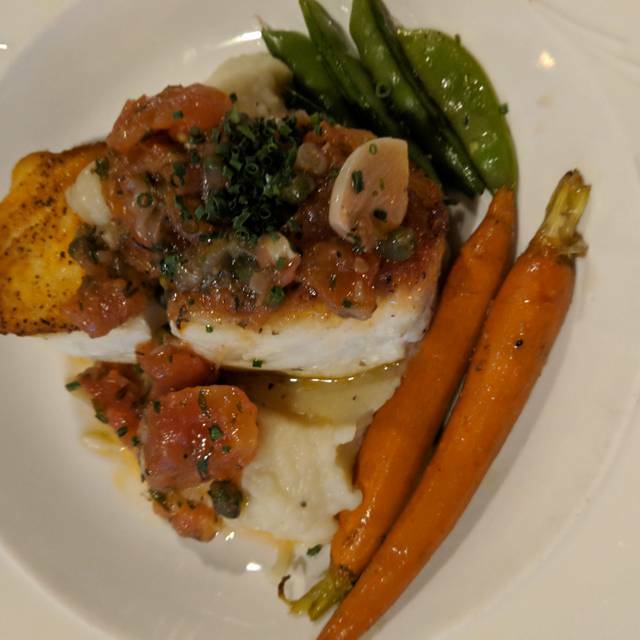 Every taste is a celebration of Northwest traditions, perfectly crafted by Chef Russell Lowell’s unparalleled panache and his use of simple, fresh ingredients. 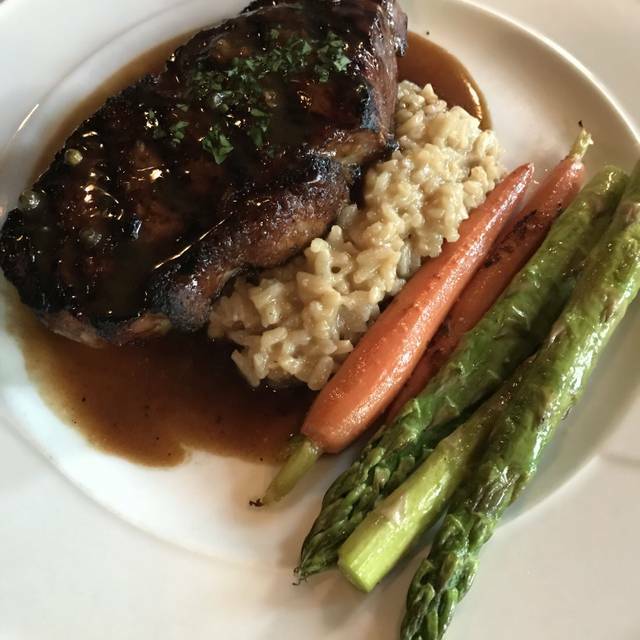 Located just minutes from the Woodinville Wineries, Russell’s Dining Room has a wonderful partnership with a variety of local wineries. Russell himself is known by many in the community as a prominent supporter of local businesses, keeping with his dedication to the Pacific Northwest. Russell’s Dining Room… a food lover’s delight, a winemaker’s favorite and a warm, friendly setting. This is such a lovely place. The service is great, and the food just blows us away every time. It is a bit pricey for us to attend very regularly, but it is our favorite place in the area for a date. Everything was perfect! I had the filet mignon and my husband the rack of lamb.. I could not have been more pleased with the food or the service..
Russell's has never failed to please. The dining room is attractive and service attentive. 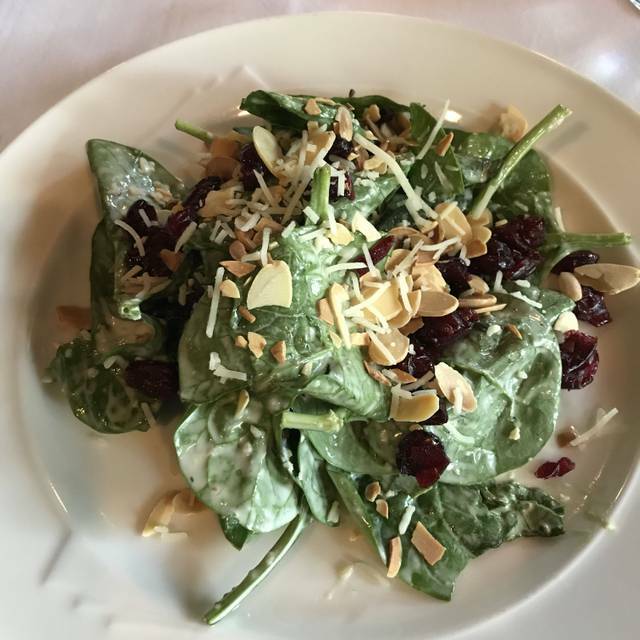 The menu offers enough options to please our family which includes a vegetarian. The food is well-prepared, cocktails tasty, and the wine list has options to meet all our food pairings. We went here for my husband’s birthday. Glad other reviews mentioned that it was in an industrial park, because I would have been thrown off when arriving. But once inside, it didn’t matter. It was elegant and fun with a heavy wine theme. We got the crab cakes for an appetizer and they were amazing! Light and crispy on the outside, heavy crab with little filler. We both got the scallops for dinner and were very happy. The garlic mashed potatoes were amazing too. Pleasant surprise for a suburban restaurant that compares to many city restaurants we’ve been to around the world. Would definitely come back! Russell’s is alway delicious and we have a great dinner. 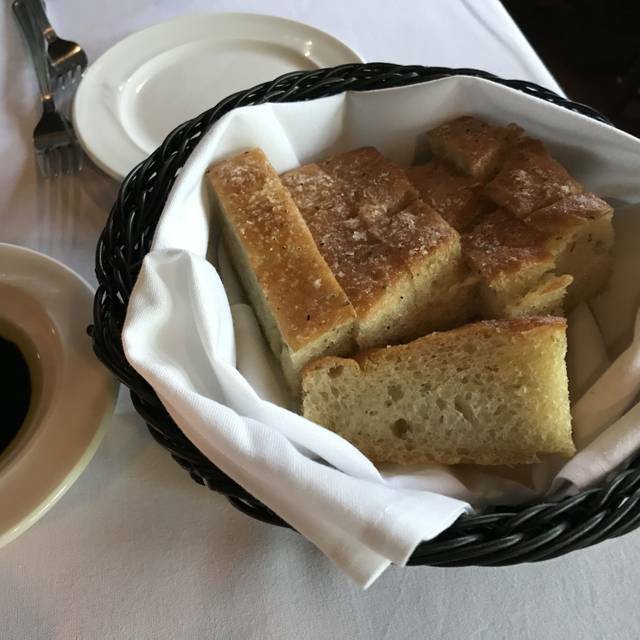 The scallops were perfect and their homemade bread is very unique and a family favorite. We had cocktails and creme brûlée — a very good local dining experience. The food was so amazing and the ambience was perfect for a quiet dinner. The service was great! The food was well crafted and delicious. The serving portions were not identical which was a bit weird. Portions were also on the small side but still satisfying. Altogether we all had a wonderful meal. The pork chop was spectacular. The New York was flavorful, although a little tough, but I did not mention that to server. Great ambiance, food over salted. I like the location, but I can get better food for the same money. Russell’s has the most amazing staff and dining is incredible! His scallops and lamb chops are too die for! Chef Lowell creates magic! This is our favorite date spot! We just love our waiter John. We have had him several times and he is always delightful and entertaining. Not fond of broccoli with my salmon entree. I was told that one never should pair brocolli with a seafood dish. Very odd. Russell's is always a treat. They were out of our favorite (mussles).....we will be back soon for those.....they are absolutely to die for! Our waiter Dan was to notch! Only the best here - service and food couldn’t be better. Russell knows what people want and he delivers. Food was good - the grilled salmon was fresh - but a bit over seasoned with salt - and I like salt. Staff was wonderful - very nice and attentive. Food was good portions. Generally good food, although most dishes came with a touch of smokiness that didn’t appeal to our table. Good service. This is a real gem tucked away in an office park in the Bothell/Woodinville area. This is a great restaurant if you are looking for a leisurely dinner (we were there for over 2 hours enjoying 3 courses). 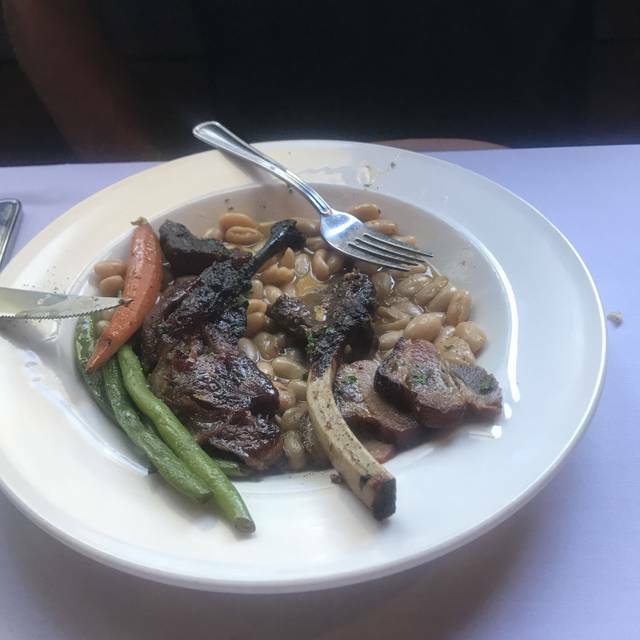 It was difficult to decide which menu item I wanted to try from the choices of fillet mignon, rack of lamb, duck breast, scallops, and market fish. I eventually chose the market fish (Halibut wrapped in prosciutto) and my husband chose the fillet mignon. Both pieces of meat were very generously sized and cooked perfectly. The only negative for me was the loudness of the dining room. However, the food, service and leisurely pace of the meal definitely warrants a return visit. Generous portion but all the food, from focaccia bread. Appetizer, man entre which was halibut was overly seasoned with salt. This was the general comments from everyone on my table. Great atmosphere, service, and food! I would highly recommend to anyone. What a great find. Fantastic food and ambiance. Great date night treat. Food was delicious and service was top notch! Even though we mad e a reservation for 7pm, we did not get seated until after 7:30pm. The reason we were given was that they didn't have any tables available. They did offer us a free appetizer. Our server, Rebecca, made the evening very enjoyable and Chef Russel was on the grill. Our food was tasty as always. We also love the $10 corkage fee if you bring a WA wine. We dine at Russell's quite frequently. 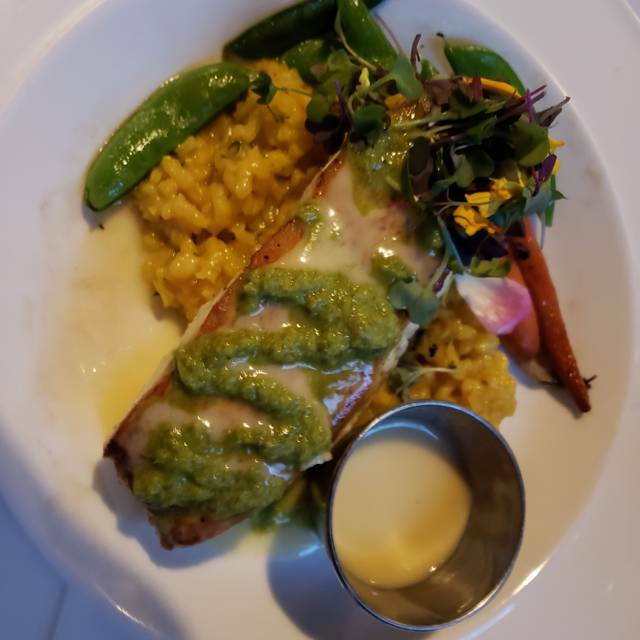 There was a facebook post of a lushious piece of Halibut. We were hooked. Option of panchetta wrap or not. My wife chose non-wrap and I chose wrapped. Great food. Service is always attentive and helpful. It is one of our go to places. For the price paid for a NY strip dinner I could have gotten two excellent meals else where. When I order a steak medium from a high priced restaurant like Russels, it can well better be perfect. It was over cooked and dry, instead of nice and pink and juicy and really tender. The wine was overpriced at $70. I had a much better wine last night that I got at costco for $15.the saladdwas good as well as the sides. The wait staff was excellent. 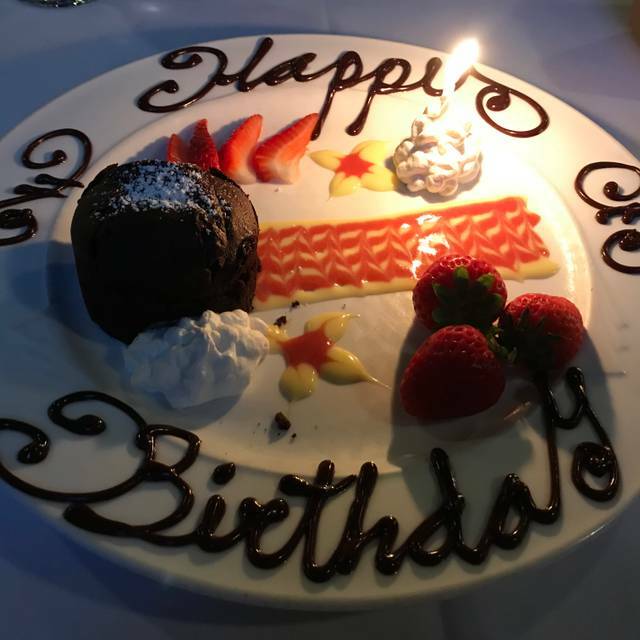 Went to celebrate our daughter’s 25th birthday... amazing food, excellent service. Will always go back for these kind of occasions. Great anniversary dinner. Cocktails, apps awesome dinner and bottle of wine. We had steak and fresh Ahi Tuna. All cooked perfectly and perfect service. A little pricey but for special occasion or date night go for it. Russell's never fails to preform at the highest level. From the understated, casual elegance, to the food and service. It is my favorite restaurant in Seattle. 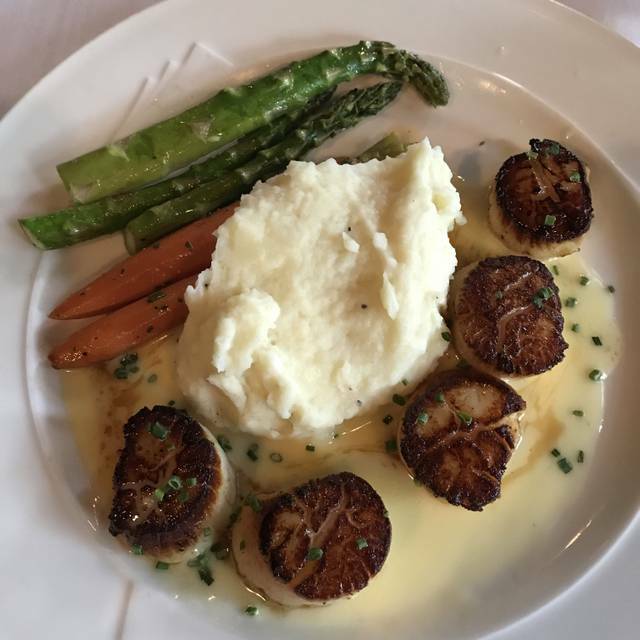 Scallops at their finest!! The wine was the highlight of the meal. Thanks to Matt’s (sommelier) recommendation. We had a super Tuscan bottle of Saggi :) Our server James was also very good. The food was overall “meh” not what we expected. Duck & pork chop were both flavorful. Garlic mashed & mushroom risotto were flat. Dessert was just ok.
Every aspect of this dining experience was superb! Russell's was amazing. The location is beautiful. 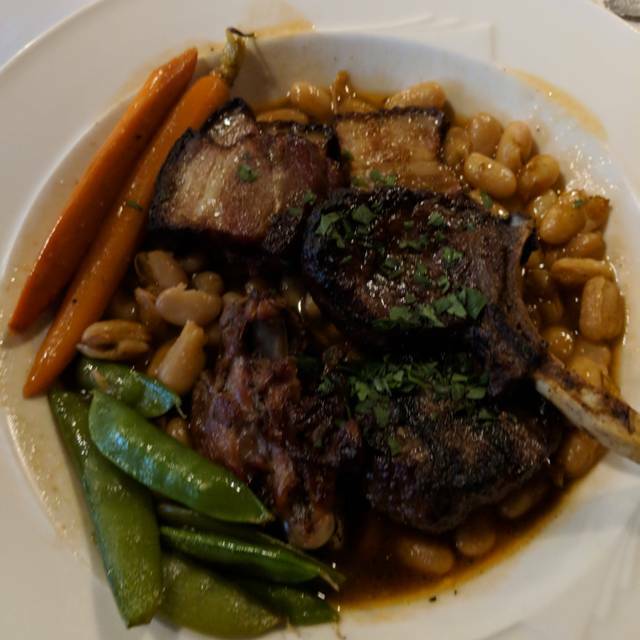 The service was impeccable from the moment we walked in the door and the food was absolutely delicious! I HIGHLY recommend Russell's. Had been fans of Russels. This time the dining experience was disappointing. Server was in-experienced. Appetizer arrived at the same time as dinner. Dinners were just barely warm. Kitchen was having organizational issues. We love russels!!! Have gone there maybe 4 times and can’t say enough great things about it!! I work at Safeway and see a lot of people, always first on my list for a great recommendation! !